We love short pitches because they can be incredibly challenging—like playing Jenga on a kayak. When you have a minute or less to pitch your company/idea sure, you’ve got to be succinct, but above all else, you MUST be compelling. 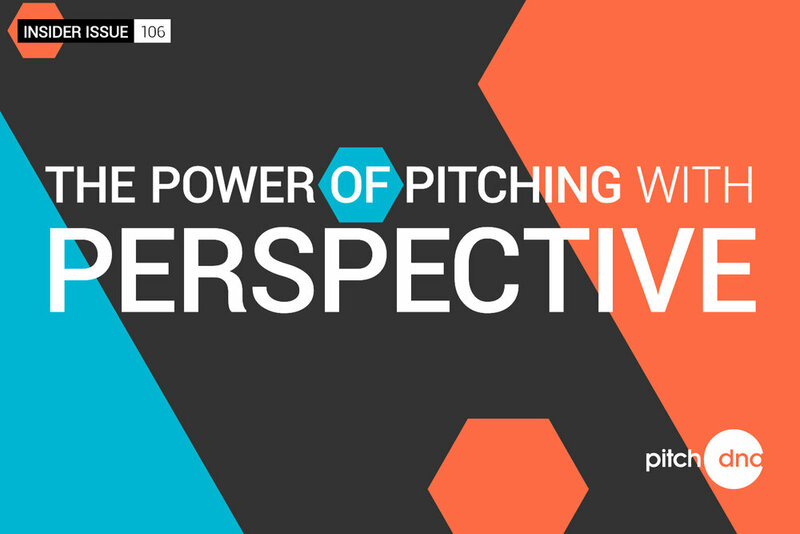 We’ve developed a framework to help leaders be both concise and magnetic by framing their pitches using 3-Layer Perspective (3-LP). Each layer is akin to traveling by plane as you look out the window—at each stage of the flight, you’ve got a different vantage point, whether it’s Ground Level, The Ascent, or Cruising Altitude. 2) After the plane takes off, your perspective changes. Now you’re at Layer 2: The Ascent. At a few thousand feet, you can no longer discern faces on the ground, but you can identify landmarks, major roadways, and the orientation of a city. 3) Finally, as you reach Layer 3: Cruising Altitude, your perspective shifts yet again. At 30,000 feet, you can see land formations, bodies of water, mountains, and even the curvature of the earth. 3-Layer Perspective is powerful because it scales up from the singular to the universal, providing context for your traveler (audience) to understand the journey more thoroughly. Start your pitch through the eyes of one person (the protagonist) and show us how this individual is confronted by a major roadblock. This is critical because we want your audience to empathize and crave a solution to the protagonist’s challenge. Power Tip: Give your leading character a name. “Everyday, Steve wrestles with the idea of quitting his corporate job and living his real dream—serving gourmet grilled sandwiches that resemble famous politicians such as the Abraham Linc-ham and Cheese and the Millard Fill-more-tadella." The higher the stakes, the more we’re going to root for our protagonist (Steve) to better his situation. We’re built to empathize, so painting a picture of someone with a difficult challenge helps us feel for their predicament. It makes us want to help (even if it’s helping Steve sell sandwiches with cheesy names… Hi-yo!). Now that we’ve established the protagonist and his/her challenge, we’re ready to rise up a level. The idea here is to zoom out from Steve’s level and look at the subset of people who are in a similar circumstances. If you’re working on a solution to this problem, you’re not only doing it for Steve, you’re also developing it for everyone who’s affected, which is ultimately why you’re pitching—to bring scale to the solution so you can address the problem at large. Finally, at the highest level, connect the dots between layer 1 & 2 to the universal challenge/opportunity. You’re addressing these challenges because you’re not just committed to helping Steve create the ultimate Lyndon B.L.T. Johnson, but helping all food entrepreneurs. “We’re committed to creating greater prosperity for all food entrepreneurs and we know you'd be the perfect partners for the Food Venture Lab." We hope this helps and good luck on your next pitch! PS. We’d love to hear your ideas for sandwiches with a Presidential spin. Share them on Twitter using #prezwich and tag us @StuartPitch and @auGiGarred. Whether you're an executive director writing a gala speech or a CEO developing a keynote, planning what you say from start to finish with PARDOWL can make or break your talk.